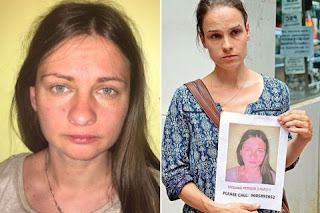 Liga Skromane was a 33-year-old young Latvian woman, who traveled to India to receive a medical treatment after a long depression and eating disorders. The young woman was killed and beheaded by a drug trafficker and an unlicensed tour guide, who hung her lifeless body on a tree to simulate she committed suicide. Since last March 14, Liga’s partner and sister denounced her disappearance. The last time they saw her alive was in the outskirts of the capital of Kerala region, where the hospital center where she received treatment was located. A few hours later, a motorcycle taxi driver took her to Kovalam beach, 16 kilometers away from the city. That was the day that she disappeared. The authorities found the corpse in an advanced state of decomposition, hanging on a tree. The woman had been raped and brutally murdered. According to local media, after two months since the disappearance, police arrested a drug trafficker and an unlicensed tour guide, who are the only suspects in the murder. The arrests occurred only five after finding the body in a remote area of mangroves. According to Loknath Bhera, general director of Kerala police, the defendants face charges of sexual assault, murder, illegal detention and use of narcotic substances. The police suspect that the alleged murderers decided to act in this way to make the crime look like a suicide. Skromane's sister was in charge of identifying the victim, which was only possible because of the remains of the dress she was wearing the day she disappeared. Apparently, one of the men who murdered her (the tour guide) approached her when he saw her alone on the beach. Immediately, he drove her on his boat to a lonely area and they met there with his friend. Both offered her drugs and then raped her. The two individuals strangled her fearing that she would notify the police. After that, they simulated the suicide. The case has had a wide national impact in India, because the victim’s family made a broad mobilization to locate her. They even offered a reward to whoever could found Liga. The Administration rewarded them with 500,000 rupees (9,000 euros) and assumed all the expenses of the body’s repatriation.